Nutrition and Wellbeing is a public health nutrition consultancy. 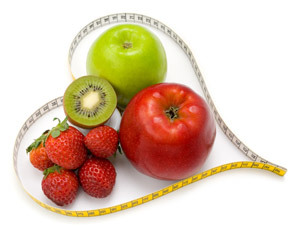 We are passionate about the relationship between food and health. We recognise that much has been done to support people to eat a healthy diet, but much more needs to be done and we can help. As specialists in public health we bring a vast range of skills to our clients and customers, and can offer consultancy, research, accurate recipe analysis, training, and delivery of high quality projects. The link between what people eat and how healthy they are is indisputable and that is why we have dedicated the past 25 years to helping organisations to help people eat food they love, and to be healthy. For some this reality can seem like a dream but it’s perfectly possible and we have proven this time and time again. Watch Sue on the Channel 4 Dispatches documentary What’s in Your Breakfast? We supply consultancy to government examples of our work are Nutrition analysis provenance and variance : Food Standards Agency; and Analysis of the All Wales Hospital Menus. The Nutrition and Wellbeing team pride themselves on delivering projects to the public and private sector which are backed by high quality skills and knowledge; and supported by evidence based practice. We are offering courses in April – why not come and join us and have some fun and learn at the same time.